Access is via the south-side lower-level entrance (facing the lake). Stop in for coffee or tea and chat about accessing Hospice support, how you can change lives as a Hospice volunteer, or any questions you may have about our work in east-central Alberta. If you have questions or comments please give us a call or send us a note - we are glad to hear from you. Utilizing trained volunteers, the outcome of NavCare is that navigation services provide individuals with support, education and connection to resources in the community to help improve their quality of life and remain in their communities. No registration or fees are involved. Simply fill in the library clipboard with the material title, your name and contact info, and the date borrowed. No late fees – keep the materials as long as you need them, and return them when you are done. Sunday, May 5th is National Hike for Hospice and the kick off to National Palliative Care Week. This year we are partnering with our office mates, the Battle River Watershed Alliance to raise awareness for both palliative/grief care and our life-giving watershed. Come one come all! Bring your family, friends, neighbours, and co-workers and walk with us. Enjoy an afternoon of family festivities! Hike for Hospice Camrose is a fun family and fur-friendly event. This year’s hike takes place at the Mirror Lake Center (5415-49 ave) overlooking Mirror lake in Camrose. We meet at 1pm, walk a leisurely pace around the lake, and return to enjoy entertainment, food, and conversation. Paths are stroller, dog, child, and wheelchair friendly. As in other years, we invite you to bring your connections on board by sponsoring you for the walk. Click on the PDF link to download the 2019 HIke Pledge Sheet. Call 780.608.0636 for more information. Download "Hike for Hospice Camrose 2019.pdf"
You will raise somebody's quality of life by volunteering with Hospice! Hospice Society of Camrose and District is inviting you to consider sharing your gifts by volunteering. We are seeking individuals for palliative and grief care, special-event support, and administrative roles. Our exceptional volunteer program provides extensive training and ongoing support. The Grief Support Walking Group has moved outside for spring. This drop-in group meets on Wednesday mornings, 9:30 am at the Hospice office (5415-49 ave, lower level, park on the south side of the building) for a leisurely walk around Mirror Lake. Walking is followed by coffee and conversation. The SOS Program (Senior Options for Seniors Society) mission is to assist seniors and their support networks to access needed programs, services and supports, this way seniors can sustain their independence. Hospice Society of Camrose and District is pleased to be a partner with the Camrose Primary Care Network in providing palliative and grief supports to East-central Alberta. Check out the Camrose PCN's excellent website for more on their home health programs. Thank you to Ross and Myra Penner for their generous support of Hospice. Thank you to the people of Safeway Sobeys for sponsorship of the Men's Cooking Circle food costs for the next year! Hospice is pleased to partner with Safeway Sobeys in this unique and much appreciated program. Thank you to the people of Camrose County for their ongoing support of Hospice. Thank you to the people of Battle River Community Foundation for supporting HSCD volunteer training, our lending library, and new program endeavors. Thank you to the people of Wildrose Co-op for choosing Hospice as the recipient of silent auction funds from the Camrose Agro Centre grand opening. Thank you to Alan Fielding for the donation of a coffee table for the new Hospice office. Thank you to Jenn Lindstrand for the donation of lamps for the new Hospice office! 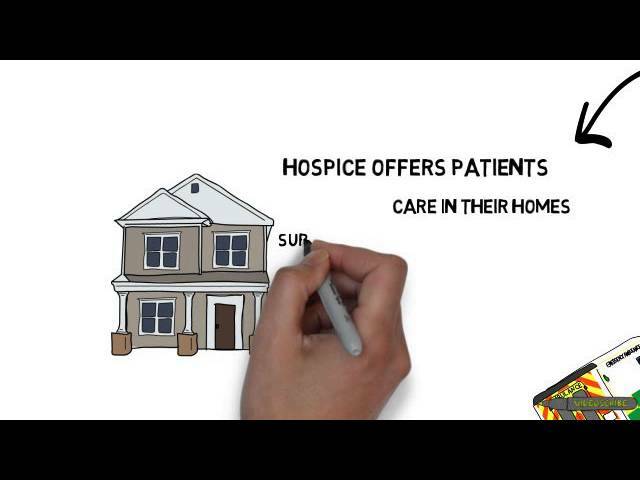 Thank you to hospicebasics.com for creating this excellent video explaining the essentials of hospice care.